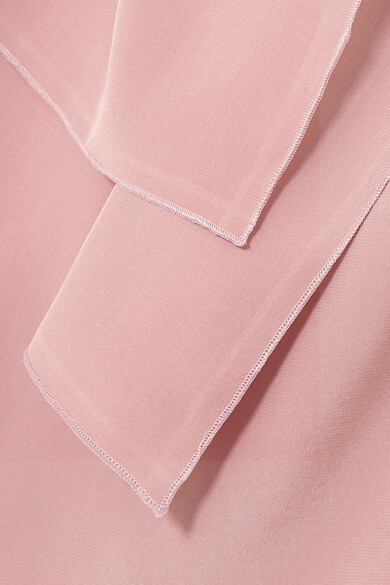 Roksanda's Resort '19 collection takes inspiration from painter Helen Frankenthaler, who juxtaposed vibrant and subtle colors in her work. 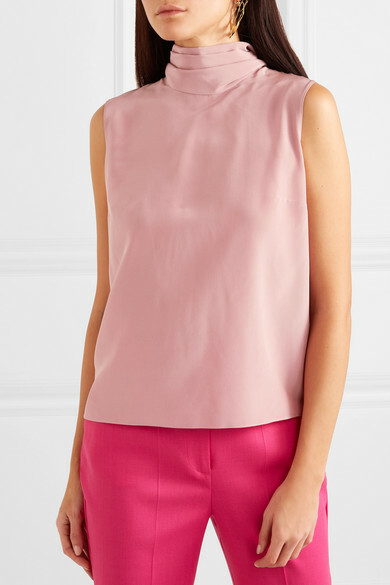 This top is cut from lightweight silk crepe de chine in an shade the label calls 'Dawn'. 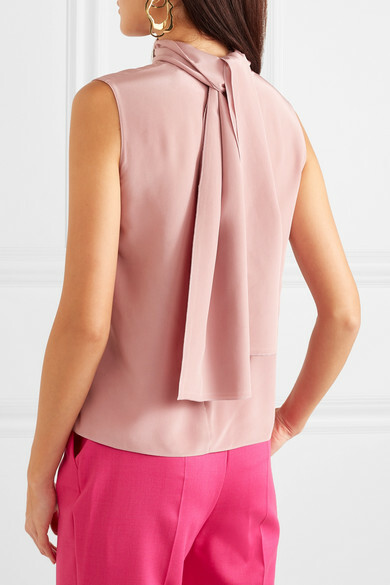 Made in the UK, it has a relaxed fit with a high neck and elegant bow at the back. 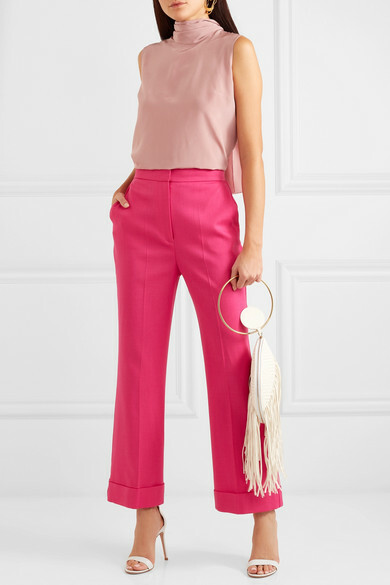 Channel the house's muse and pair it with something bright, like these pants. Shown here with: Roksanda Clutch, Gianvito Rossi Sandals, Ellery Earrings.